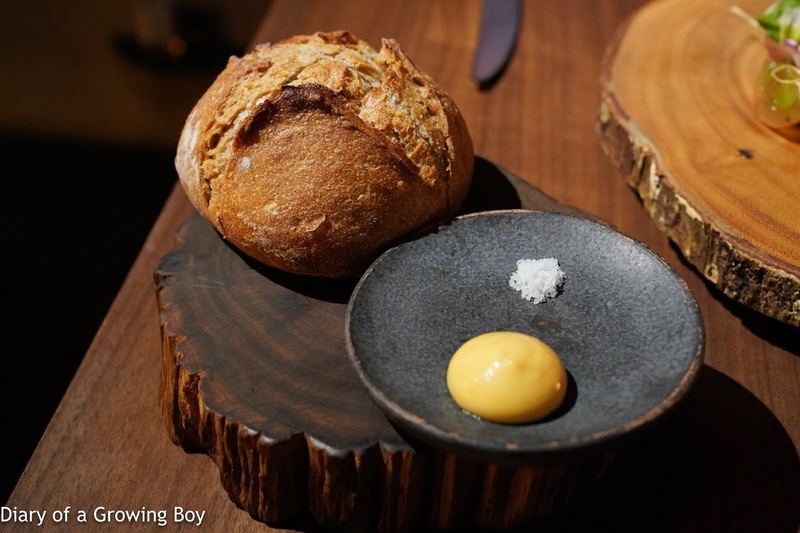 After sipping some coffee in the afternoon and checking out the views from the Taipei 101 Observation Deck, The Dining Austrian and I met up for dinner at MUME. 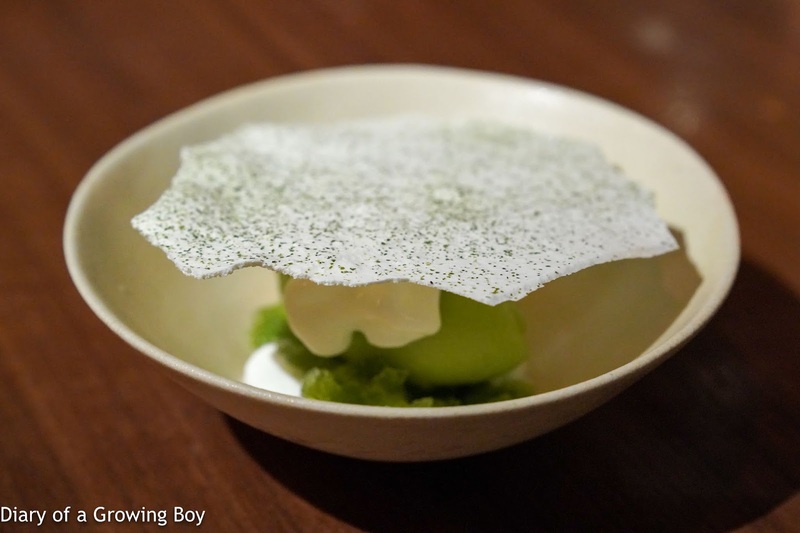 It has been almost 3 years since I last had a taste of the dishes put together by Richie Lin, Long Xiong, and Kai Ward - not counting Gert de Mangeleer's pop-up last year. So I was curious to see how the cuisine has evolved. Richie apologized beforehand about not being in the restaurant tonight, but nevertheless put together a tasting menu for us. 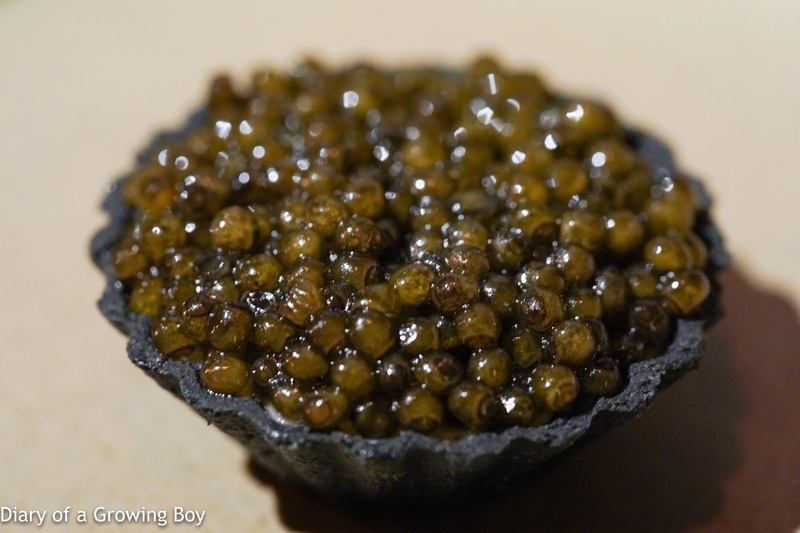 Caviar tartlet - the sturgeon caviar actually comes from a local source near Taichung, and underneath the layer of caviar was milkfish (虱目魚) cream. Milkfish tartlet - the spring roll pastry shell was filled with Iron Buddha tea (鐵觀音)-smoked eggplant purée, pickled chayote (佛手瓜), and topped with deep-fried ginger. 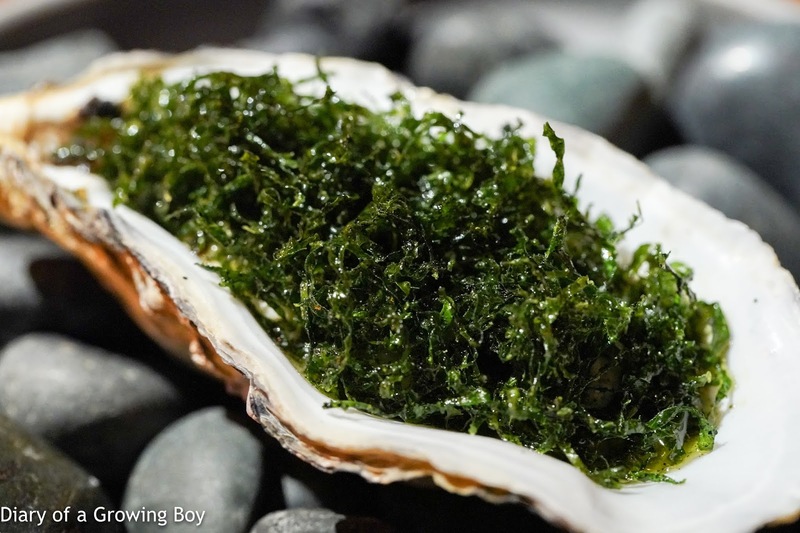 Soft poached oyster, local greens, cucumber, seaweed butter - the Gillardeau oyster was delicious, and came with seaweed butter which ended up being too rich and salty. 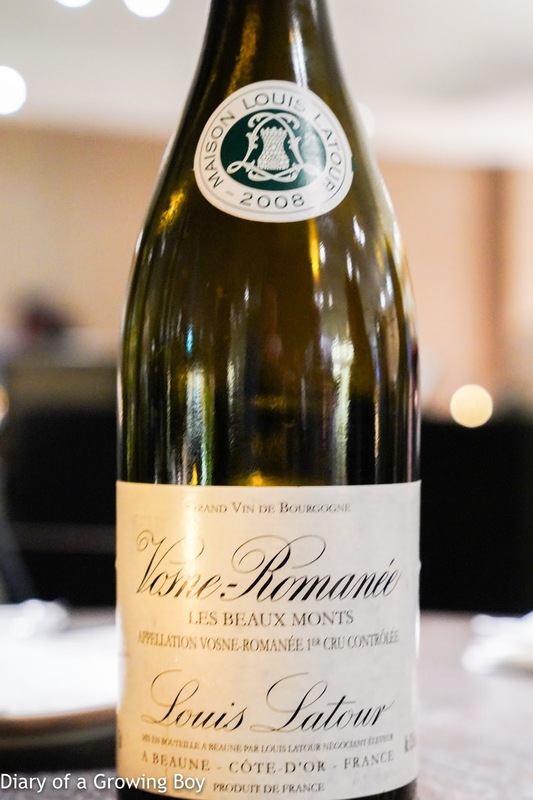 There were diced pickled cucumber which delivered some acidity to balance out the richness, but it wasn't enough. 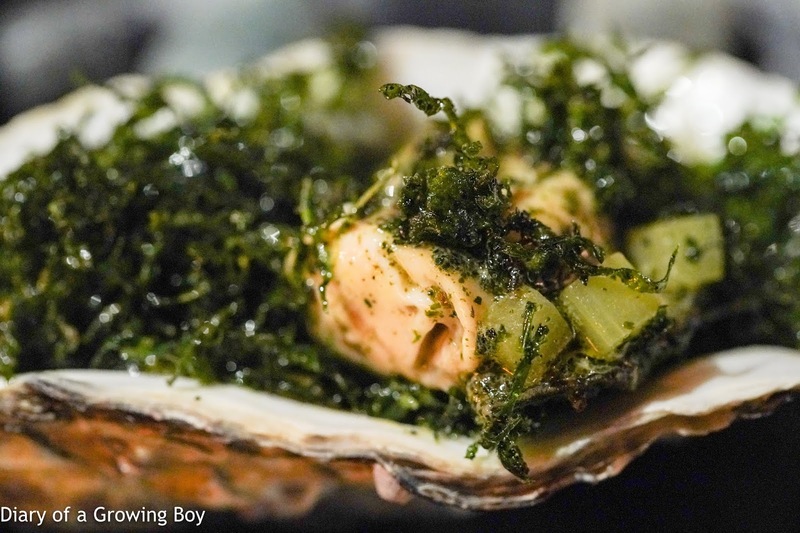 The fried shredded baby kale on top was also on the heavy side in terms of flavor. I'd be happier eating this dish in the winter, but right now it was just a little too much. 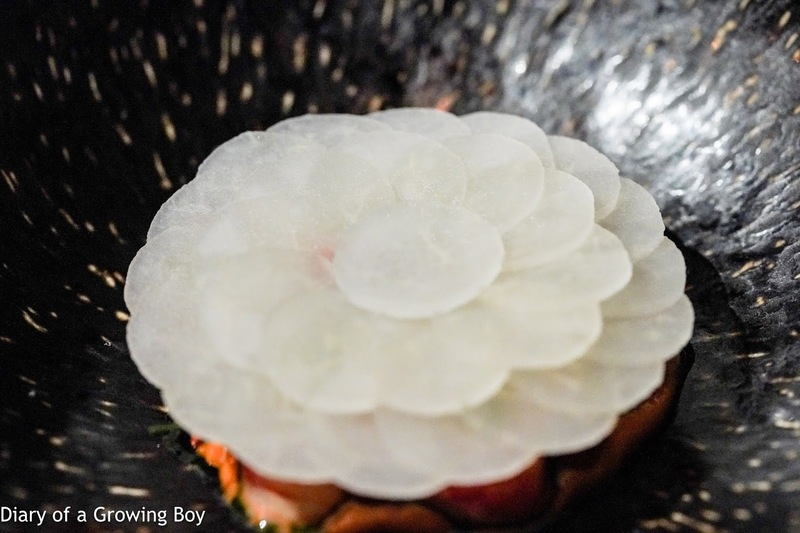 Prawn, shaved yam bean, prawn head sauce, Ricotta snow - first we see a beautiful "flower" made of thin discs of what I thought were daikon (大根) radish, even though the menu stated otherwise. 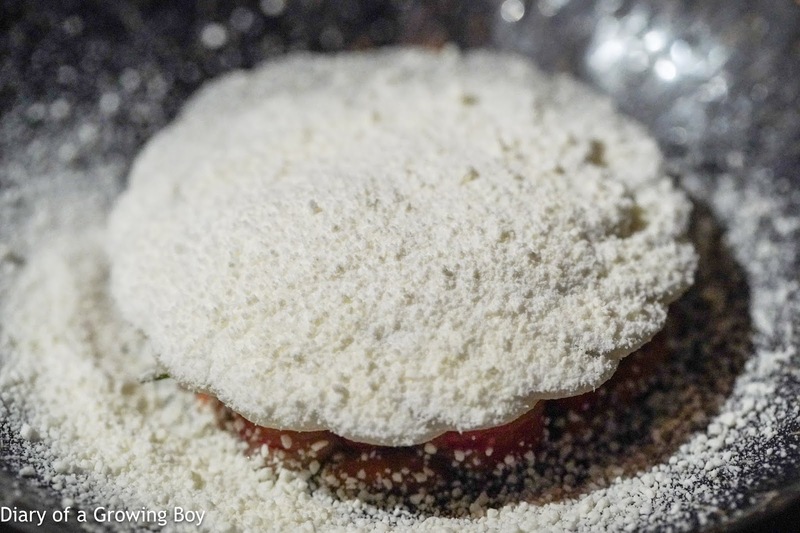 A pile of frozen Ricotta "snow" was then dusted on top. Underneath we found some prawns, dill, wolfberries, and a prawn head sauce that was very pungent. 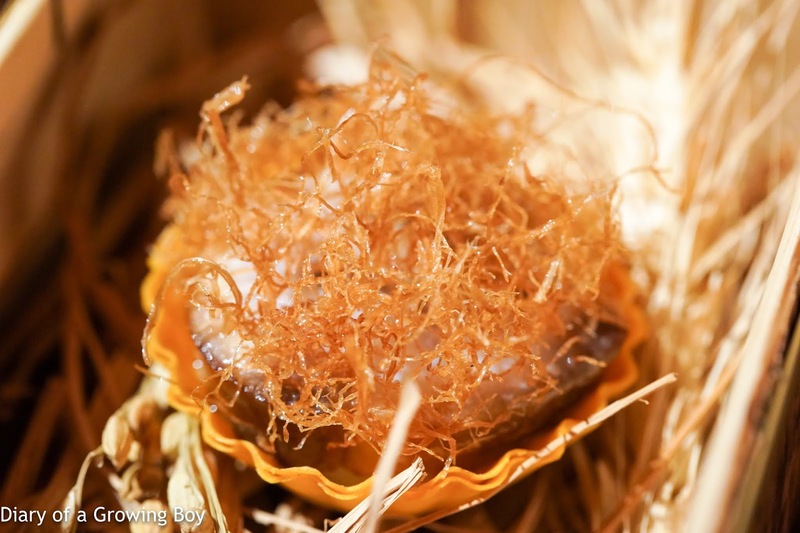 I noticed the presence of lemongrass flavor, and it turned out to be local mountain litsea (馬告). Very interesting combination between the cool, light, and refreshing ingredients at the top and the heavy-hitting stuff below. 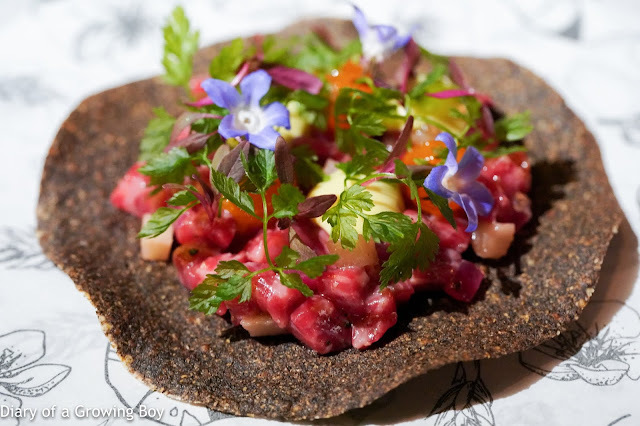 Wagyu tartare, clam mayo, confit egg yolk, preserved daikon, nixtamalized Taiwanese quinoa tostada - after visiting the Noma Mexico pop-up last year, Richie and team were inspired to make their own tostada, and this was the result. 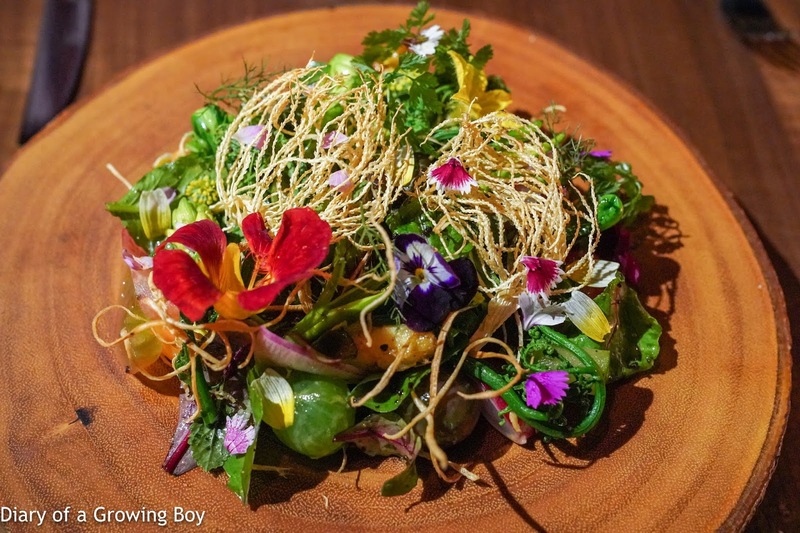 Mume salad, 20+ types seasonal vegetables, fermented black beans - so... the salad stayed on the menu. We've got grapes, fiddlehead ferns, pickled cucumber, betel palm flowers, arugula, roasted white asparagus, cherry tomatoes, multi-colored tomatoes, breakfast radish, turnip, daylily, chervil, and different flowers. 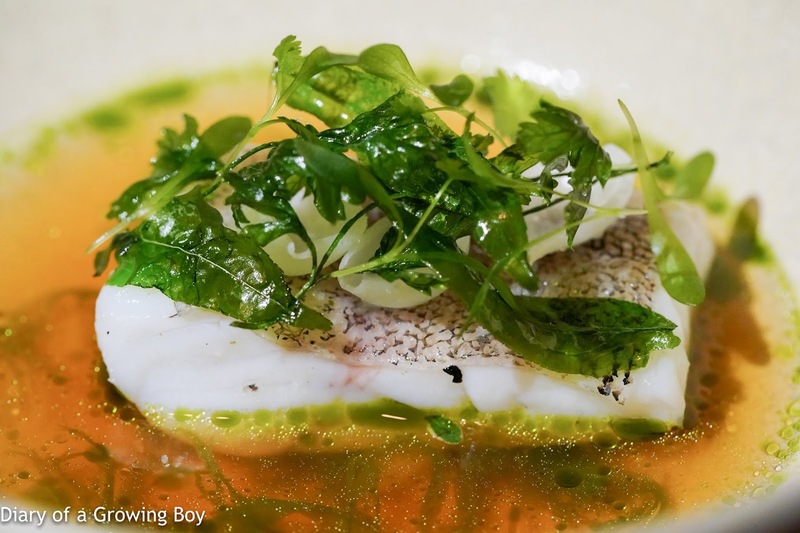 Emperor grouper, aromatic broth, engawa, parsley and lemon thyme - this was one thick slab of fish fillet! And the execution was perfect... very tender, but at the same time with a good amount of springy firmness coming from the 帝王斑. The broth made with sake was lovely, with both acidity from lemon as well as umami from kelp. Mountain litsea lent their lemongrass fragrance once again. 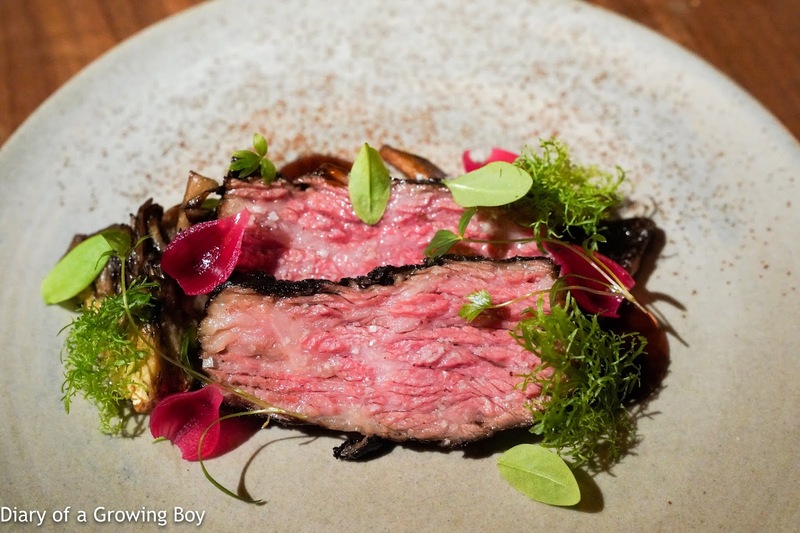 Koji aged beef short rib, maitake, coffee - the coffee on the charred crust was a little overpowering, and the maitake (舞茸) was a little on the flabby side. 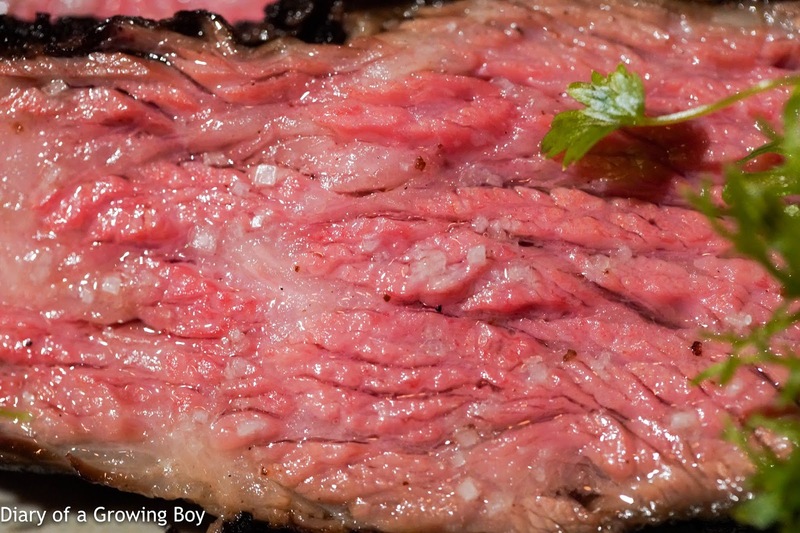 The marbling of the short rib was nice, and overall this tasted fine. 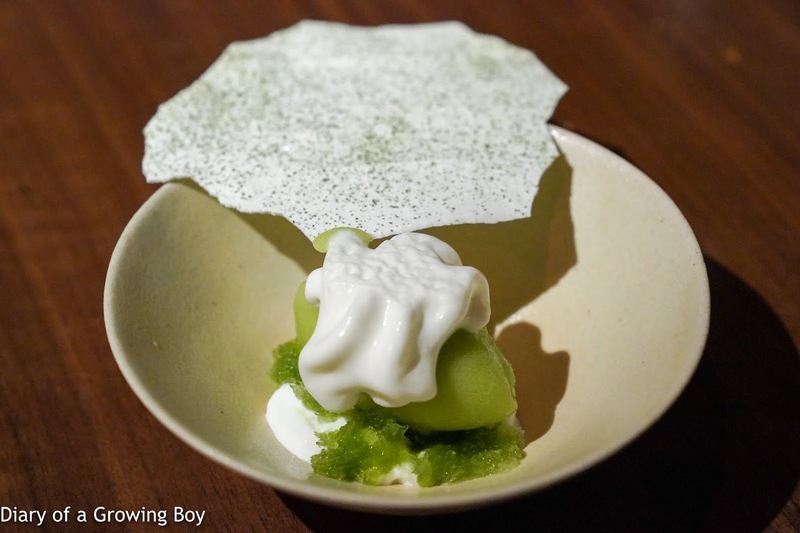 Cucumber, yogurt mousse, celery granita, lemon verbena - the combination of cucumber sorbet, yogurt mousse, celery granita, and the meringue sprinkled with cucumber powder just seemed perfect. It was incredibly refreshing, with clean and pure flavors. Absolutely perfect for a hot summer day. 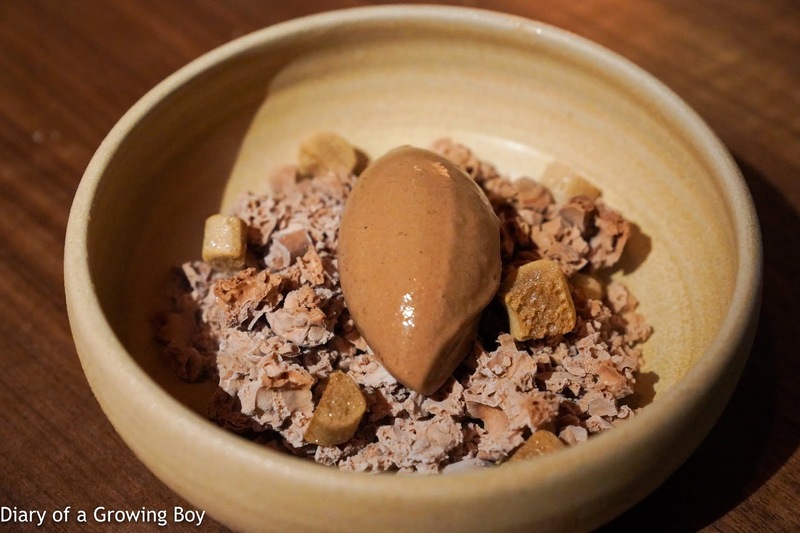 Taiwanese chocolate, longan, coffee, walnut - sorbet made with 62% Taiwanese chocolate and, yes, mountain litsea. Served with longan cooked with whisky, along with walnuts as well as coffee meringue and caramel chocolate frozen with liquid nitrogen. That lemongrass fragrance sure works wonders with the chocolate! 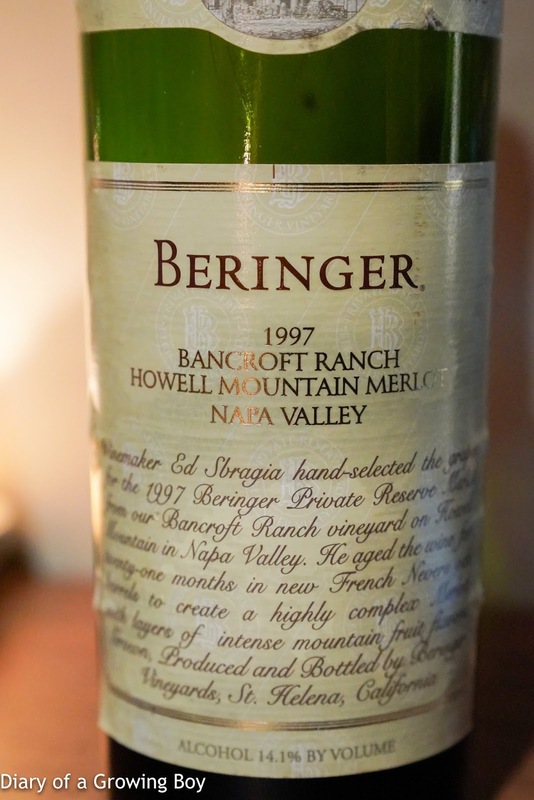 1997 Bringer Merlot Private Reserve Bancroft Ranch - a little musty at first, slightly overripe, with fragrant cedar notes. A little disappointing. We had a really good time tonight. A couple of the dishes could maybe use some tweaking, but all in all the flavors were good in each and every single one. 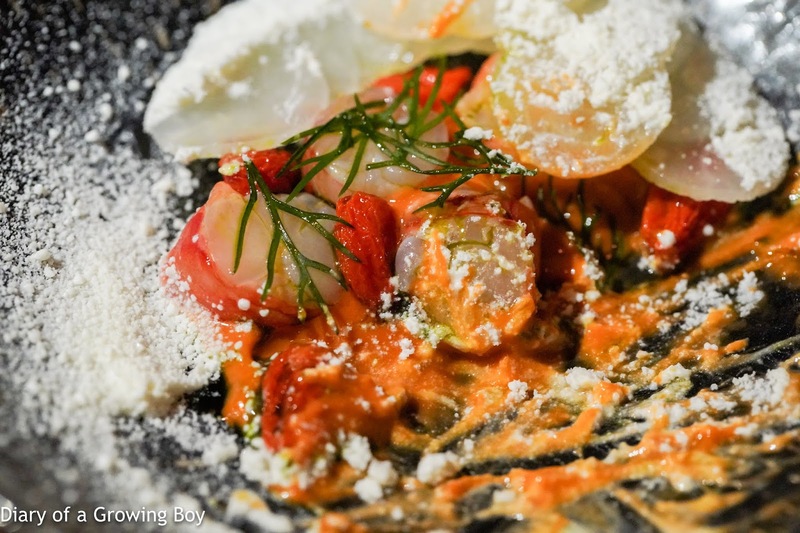 The cuisine has certainly gotten more interesting compared to my first visit 3 years ago, and I'm very pleased for Richie and co. The Specialist happened to be in town this weekend with BFF, and we agreed to meet up for a drink or five at The Terrace at the Humble House Taipei. 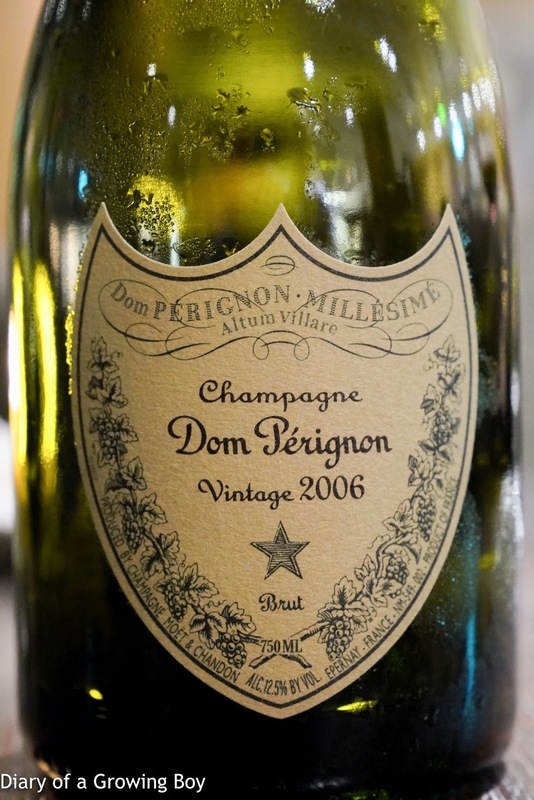 The ladies had an extra bottle of Champagne which they did not wish to carry back to Hong Kong, and since corkage was a mere TWD 500, it made perfect sense to have a drink at their hotel.